I’m sure that many of our readers are familiar with several of the lifetime contributions from who I call “the academic pain psychology bros”, Drs. Ken Kirsh and Steven Passik. While Ken continues to struggle with his long battle of colon cancer, many of us continue to ponder his writings daily. I remain captivated how a relatively obscure paper from 10 years ago was as sensible and on target then, as if the commentary was written yesterday. Just last week I was reviewing the 2017 voting results for the baseball Hall of Fame and couldn’t help but think of Dr. Ken Kirsh and the wonderful tribute that Steve wrote for him here a year and a half ago, There IS Crying in Baseball. Even in baseball we’ve learned “to look deeper, beyond the numbers, for meaning” as aptly outlined last week by NY Times writer Doug Glanville in For Baseball’s Hall of Fame, Do Statistics Alone Still Matter. The pervasive hesitance to escalate opioid doses comes from equal parts provider fear and misinformation. So what comfort can we offer these apprehensive prescribers, pens trembling over prescription pads (or, more aptly, fingers hovering over keyboard keys…)? And what solace can our patients in pain hope for? Enter Mr. Smith and Mr. Jones. Two, fictitious, young gentlemen created by Drs. 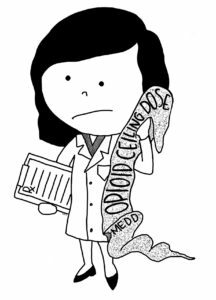 Kirsh and Passik to illustrate two disparate examples of the patient types who may request an opioid dose increase. Both men are 28 years old, both are prescribed 160mg of sustained release oxycodone twice daily for their pain. Both men rate their pain at an 8/10 today which is a decrease from 10/10, on the same pain scale, at their last exam. They both report experiencing some opioid induced constipation (OIC) but are well controlled on a bowel regimen and report no other adverse effects of their medications. Objectively, these two men are quite similar. Their differences begin with Mr. Jones’ positive marijuana toxicology screens (which he reports using for nausea and enhancing the effects of oxycodone), his history of early refills on oxycodone, and his statement that he “can do nothing until his pain levels come down.” They further diverge in Mr. Smith’s report that he has re-engaged in church services, resumed helping his wife with household chores and started pursuing his GED. Mr. Smith “passes” the 4-A filter. The 4-A’s, as described by Kirsh and Passik, are analgesia, activity, adverse effects and aberrant drug taking behavior. They use the 4-As to justify titration to efficacy and tolerability as opposed to titration to some arbitrary mg number. I’ll repeat that last bit- titration to efficacy and tolerability as opposed to titration to some arbitrary mg number. In a class of drugs with no end organ damage and no real ceiling doses what better reasons to adjust doses than to titrate to efficacy and tolerability? If a patient is achieving adequate analgesia, pursuing activity as tolerated, not experiencing adverse effects and not exhibiting aberrant drug behavior then the reasons to refuse a dose increase are a bit foggy. Each patient responds to opioids differently. Prescribing and adjusting opioid doses using “cook book medicine” may comfort the prescriber but provides a disservice to the patient. One method of grappling with opioid doses that has been offered throughout the literature is the concept of morphine equivalent dosing. Fudin, Schatman and Cleary explored the relatively arbitrary designation of morphine equivalent daily doses (MEDD) for justifying the switch from one opioid to another “equivalent” dose. Without even delving fully into this topic (Dr. Fudin already did, here) one can clearly see shortcomings of this methodology. First, despite a common mechanism of action, mu-opioid agonism, each opioid is metabolized in a different way. Further, each person may express different amounts of the mu-receptor. In this most simple example, a patient with 10 opioid receptors will react to a smaller amount of drug than a patient with 5. In addition, variance among CYP enzyme expression via various genetic polymorphisms greatly effects patient response to opioids. Switching between opioids using MEDD, once again, serves mostly as a security blanket to providers. So, back to our fictitious patients. Mr. Smith represents the ideal candidate for an opioid dose increase. He is experiencing inadequate analgesia at the current dose, is making every effort to return to his activities of daily living, is not abusing his medication or engaging in any aberrant behavior and is not experiencing any untoward side effects. Still, many providers would see the total daily dose of 320mg oxycodone and shudder to think of increasing further. There is, of course, a gray area to be explored in depth and I think that this is exactly what Kirsh and Passik ask us to do. They challenge us to see this “ideal patient” and to then look further to apply our knowledge, intuition and training to treat those who do not fit that mold. As always, comments are welcomed with enthusiasm! 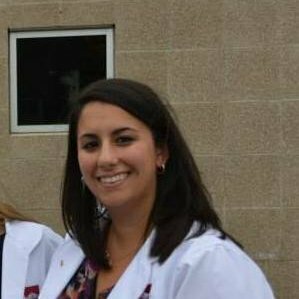 BIO: Amelia Persico is a 2017 Doctor of Pharmacy candidate at Albany College of Pharmacy and Health Sciences. In 2016, while attending pharmacy school, Amelia also received her MBA with a focus on health care management at Union Graduate College in Schenectady, NY. Amelia’s professional interests include geriatrics, community pharmacy and health care operations management, though she has yet to encounter a discipline within pharmacy that she does not enjoy. After graduation Amelia plans to pursue a career in community pharmacy and to never stop learning. Fudin, J, Cleary JP, Schatman, ME. 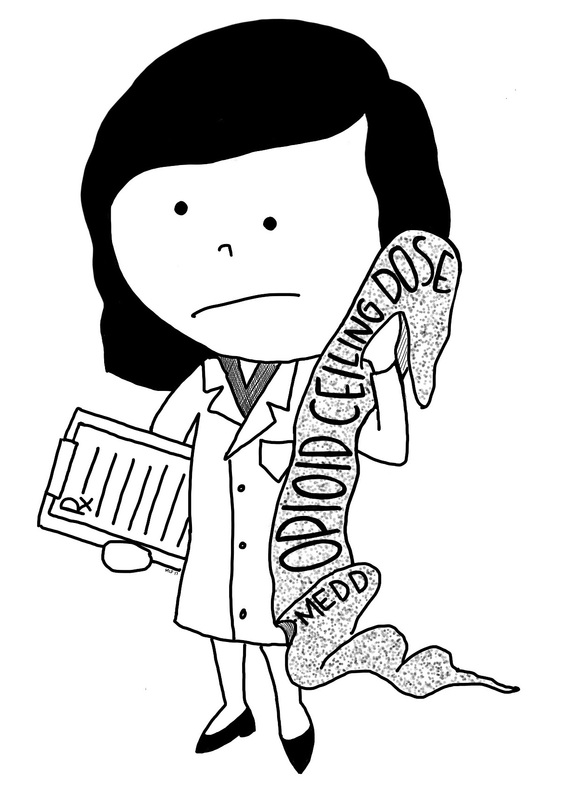 The MEDD myth: The Impact of pseudoscience on pain research and prescribing-guideline development. Journal of Pain Research 2016:9 153-156. I have been a pharmacist for 20 years. How can you say I know no one with intractable pain? I’m making salient points asking about the practicality of pain guidelines, and you go to “your comment kills pain patients?” I practice in rural Appalachia, the very heart of the opioid crisis in America. I’d be willing to wager I’ve seen far more deaths from opioid overdose than you. Asking pointed questions about doses that far exceed standard guidelines is not fear, it is common sense and good medical practice. It is precisely those questions that make it important that I stay in this profession. I have a responsibility to monitor current best practices to keep people from overdosing. Nowhere in my original post do I state that I’m trying to “kill pain patients.” Your pejorative comment does not further the conversation. I clearly stated that the overwhelming majority of pharmacists want to help people; indeed I also clearly asked how we manage this problem. Your “with all due respect” comment shows zero respect when you don’t take the entirety of my post in context. Dr. Fudin, why did you delete my last post? I don’t recall deleting your post. Please clarify. Thank you for continuing to fight for patients – even now when it’s not popular and practically taboo. High/Ultra High MEDD patients (me included) appreciate this so much! PS Yes Great job Amy, from pain patients worldwide! This is the conundrum we’re in as pharmacists and providers. We’re trained to go by guidelines, thus when those guidelines are deviated from we balk. As a pharmacist, I would turn down a >320mg daily dose, because it’s over the recommended daily dose. If I fill it and he dies from respiratory distress, who is the overwhelming candidate for a lawsuit and license revocation? Me. So how can we function as providers in this lawsuit-happy society? I cannot risk my livelihood and financial security for my family because I’m subscribed to ignoring the “meaningless milligram” doctrine. So from a practical standpoint, how do we solve this? The overwhelming majority of pharmacists want to do what’s best for the patient, but I also believe the overwhelming majority would turn that same fictional Rx for >320mg for the same reason. Jeff H; You make all very good points! It is for these reasons that I believe pharmacists should be embraced as “providers” and should be involved directly with the prescribing process, including if desired, a DEA license to prescribe). The example you use of 320mg oxycodone is a good one. In this day and age, pharmacists should have direct access to the medical record, lab data, etc., and visa versa. And we should be trained in the “guidelines” whatever they are, at least to the same extent as diabetes, heart disease, and cancer, including expertise in appropriate opioid risk stratification and monitoring so that we can be sure that if a high dose opioid is being prescribed, all of the appropriate items are in place to justify this; I bet then you and others would feel more comfortable, and of course we should be paid for such monitoring. And, in the case you gave, a positive urine screen for opiates and/or oxycodone IS NOT ENOUGH! In my mind, with high doses like that, the standard of care should be serum levels to be certain the patient is taking all of the prescribed drugs and not part of it. Believe me, from experience as an expert witness, serum levels are a good thing to have if a prescriber ends up in court over a medical examiner report, “cause of death is opioids”. If we don’t have premortem levels, how do we know if the postmortem levels are too high? And lastly, the pharmacist should be able to determine if the patient should have in-home naloxone. This can easily be achieved with NALOXOTEL which would generate a full report for prescriber and pharmacist outlining percent risk of opioid-induced respiratory depression – of course, this might require collaboration, God forbid. I for one am and sick and tired of receiving emails from professional organizations for the last 10 years that “provider status is coming any day”. Seriously? They need to get of their high horses and change how pharmacists are branded (See Blog Post, Nobody Knows) to the people that vote for the lawmakers that can make this happen, instead of filling the tills with dues money that feeds ineffective lobbyists year after year after year after year. Keep up the great work Jeff – your heart seems to be in the right place and I’m sure your frustrations are felt throughout the profession. Thanks Michael. You know that you too are one of my favorite SHRINKS!